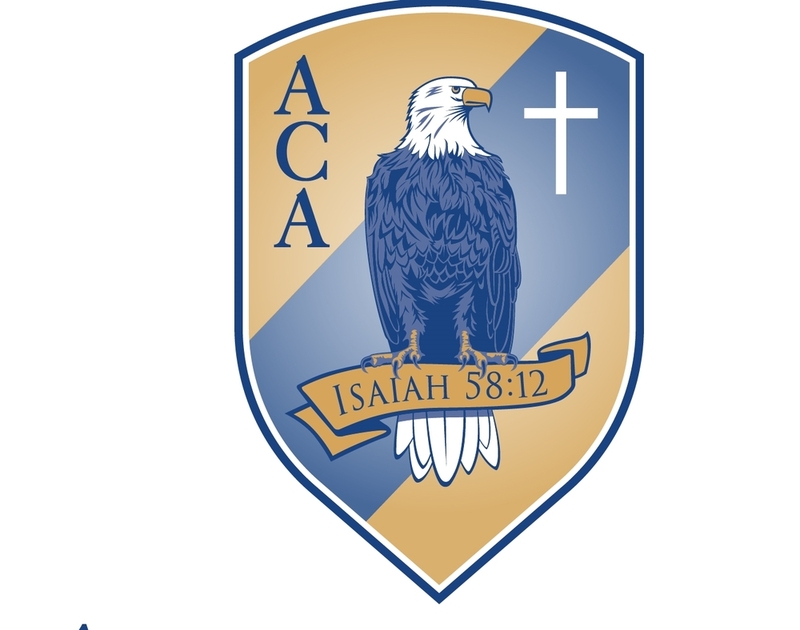 The components of our logo consist of a shield, the letters “ACA”, a cross, and a sitting American bald eagle clutching a banner proclaiming Isa. 58:12.
secures from assault or injury. Gen. 15:1 - Abram; I am thy shield, and thy exceeding great reward. Eph. 6:16 - Above all, taking the shield of faith, whereby you shall be able to quench the fiery darts of the wicked. CROSS: Represents the doctrine of Jesus’ suffering and of salvation through Christ Jesus; the symbol of Christ and Christianity; the focal point of all history. EAGLE: The bald or white headed eagle; America’s national symbol. “The eagle is one of the largest species of fowls, has a keen sight and lives to a great age.” They generally choose one mate for life. “On account of the elevation and rapidity of his flight, and his great strength, he is called the ‘king of birds’.” Webster’s 1828 American Dictionary of the English Language. A sitting eagle, his eye on the cross, emphasizing the importance of sitting quietly long enough to learn why and how to read, reason, relate and record before leaving the “nest” and soaring about.